“Shifting left” in IT service management (ITSM) refers to the process of pushing IT resolution support as close to the employee as possible, as opposed to being handled behind a back-end curtain – known as “shifting right”. But why take a shift-left approach over the latter? 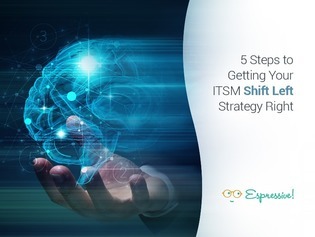 Dive into this guide to learn the five steps necessary for shifting your own ITSM strategy to the left, and how it can lead to benefits including lower resource costs, streamlined support operations, or simply improved employee satisfaction.